If you haven't discovered The Quilt Pattern Magazine yet you ought to take a look. It is entirely online and publishes 12 jam packed issues a year for an incredibly modest subscription price. I have published more than 20 EQ7 tutorials in it over the past two years and three quilt patterns. 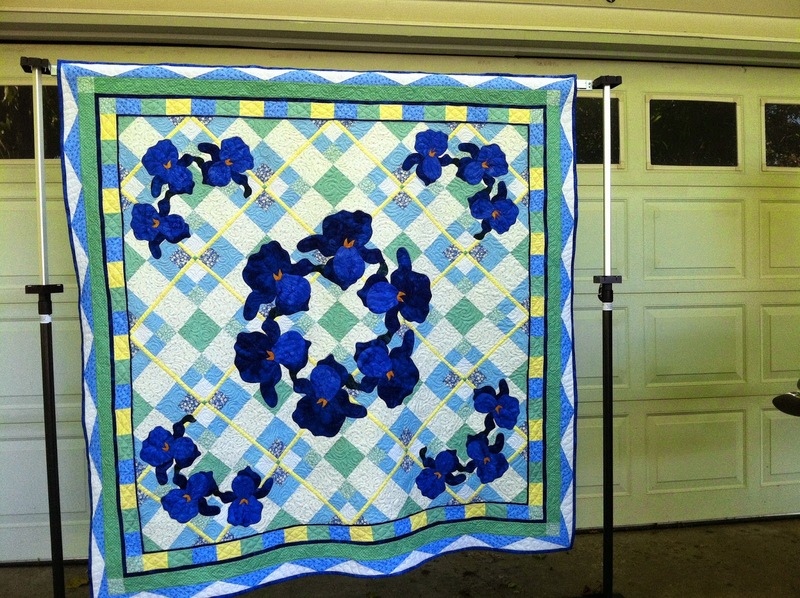 The first one came out last year -- my Summer Iris Picnic Quilt -- and two more will be coming out this year. 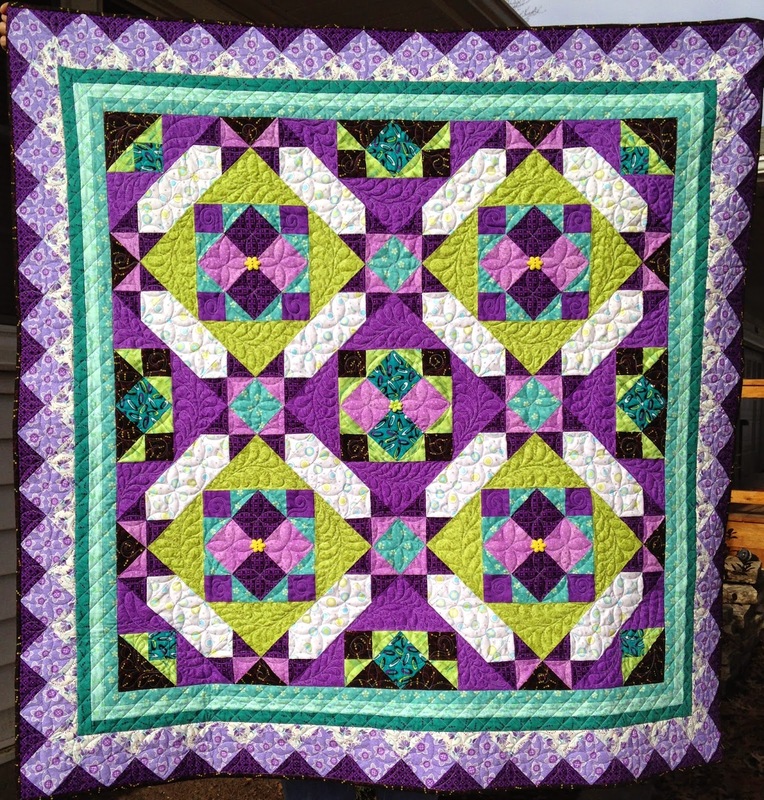 This is the Summer Iris Picnic Quilt. Don't you love my really high tech photo studio? LOL My driveway in front of the garage door on a windy day! This pattern is now available on my website: Morning Glory Designs.com. This February the second of these quilts will appear. It is called Candy Stars, and my absolutely wonderful niece Krista made the sample. She did an amazing job on the quilt, and my machine quilter, Brenda Weien, worked her magic on it as well. The result is pretty fun, I think. The pattern will be available Feb 1 in TQPM. If you haven't subbed yet take a look. You can get this whole pattern plus a whole year full of other patterns, articles and tutorials for the cost about 1 pattern! Quite a bargain. This quilt and Deco Gardens look great. Did you decide to do your own applique since you will be a retired lady?